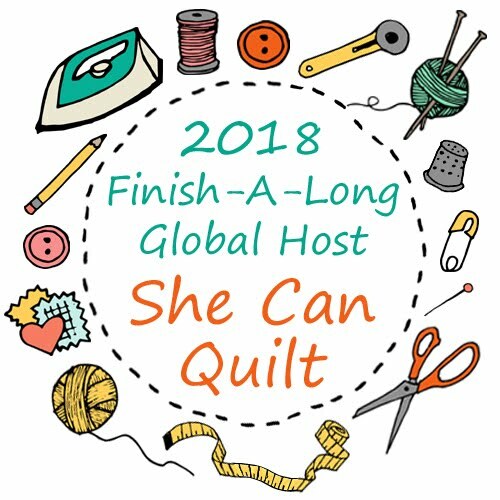 she can quilt: A pattern give away! 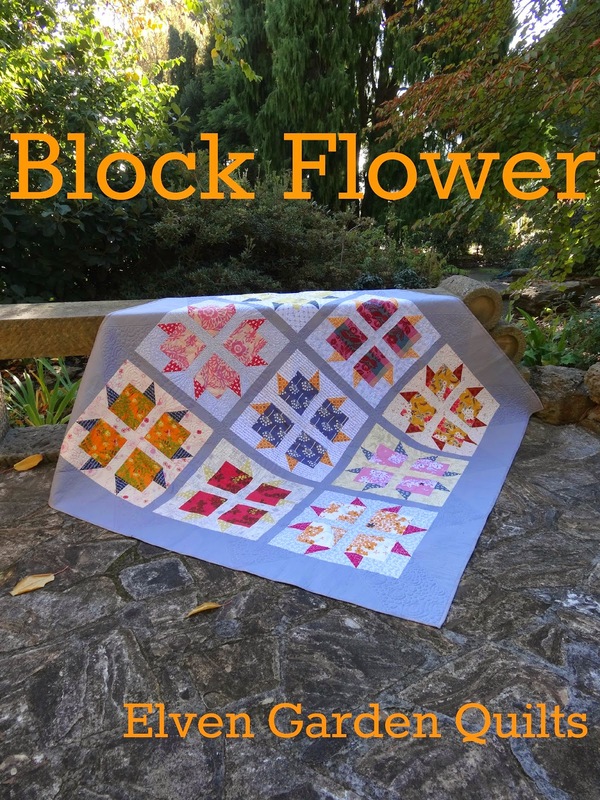 My friend Jess, from Elven Garden Quilts has given me a copy of her new pattern, Block Flower to give away to one of my readers. This is a fun and fast fat quarter friendly pattern which is great for showing off larger scale prints. 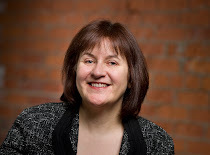 Jess is my incredibly talented and smart partner in the Decipher Your Quilt project, which has been moving slowly this summer - there will be a post about circles on Thursday this week and then we are off for another month until September 18. We did not think you would mind getting the quilt math in slow doses while we cope with the stuff that life throws at us. But I digress. Jess's pattern testers did great work and you can see many different and beautiful versions of this lovely pattern on Jess's blog here. Go and have a look and then come back here, I'll wait. You can buy a copy of this pattern for the next two weeks at 50% off in Jess's Craftsy shop, here. If you buy one now and then win a copy, Jess will happily refund you your purchase price. 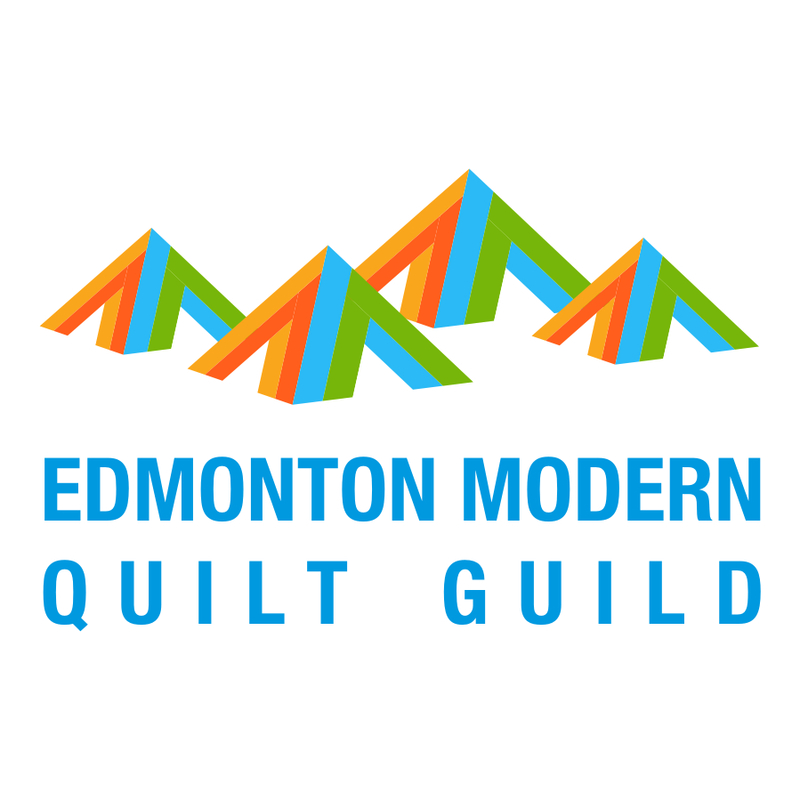 To enter the draw to win my copy of the pattern, just leave me one comment per person on this post letting me know if you are making quilts these days or working on other things. I will keep the draw open until Thursday noon and announce the winner on Thursday evening. If you win, you could always start working on this pattern for the weekend. And just a short update on my own sewing. Tonight I made that courthouse step block from some Cotton + Steel basics fabrics. I am hoping that with some quilting, it will represent the theme urban contrasts for my Four in Art group. I need to finish it before August 1, so you will know soon if I manage to pull this one off. Regardless, it has affirmed my huge desire to make a courthouse step block quilt. And there are my 11 rows of cross stitch flying geese - which is all the stitched geese there will be. I need to finish this project off as it is due to be mailed on August 4 to my secret partner for the Big Stitch Swap. Right now I am leaning towards finishing it off as a hoop, but we shall see. Those few cross stitched geese (165 geese in total) took me about 11 hours to stitch up, so I am thinking that maybe they deserve to be celebrated as they are. I also think I am a very slow cross stitcher but I love the effect of cross stitched quilt blocks. So don't forget to enter the draw to win Jess's lovely pattern. I am making a King sized Granny Square Quilt. Blocks are 7 in and completed. Now comes the assembly. Oh you kknow me - I'm working on a little bit of everything all at once! On my table I have a tunic top, a cross stitched cherry, a bee block, two mini quilts to put hanging sleeves on and an enormous paper pieced pattern for testing. So yah, I'm woeking on a few things! Would love to win the pattern - the tester's versions are brilliant! The geese are just beautiful! No matter what you decide to do with them, they'll be winners. What a great pattern - I'd love to win a copy! At the moment I'm making a quilt for my niece's first baby - William !! I am making a scrappy big lap size quilt,, on the last count it had 85 different fabrics in it! The quilting is done, and I hope to finish the binding this month. Thanks for the giveaway of that great pattern! I am making a bag at the moment and working on finishing a hexie quilt that has been under construction for quite awhile! I am working on a double bed sized quilt at the moment but as always doing QAYG. Love your X stitch, I gave it up so long ago, don't think I have the eyesight for it now. What a fantastic idea. I have nothing planned for this weekend, so what better way to spend it but on a new quilt?? And such a lovely one as well. Thanks for a chance to win. I've a linen and silk quilt top that needs basting, quilting and binding to complete and a long term hexie project on the go. I am working on a baby quilt for my new grandchild due next month! My WIPs include some 20-inch cushion covers, a picnic-size quilt (waiting to be quilted), a double bed quilt (top is nearly done) and a baby quilt (waiting to be cut)....Yikes! I just scared myself... This is a lovely pattern, I'd love to win it, but will be going to Craftsy's Indie shop to pick up a copy anyway. Looks like lots of fun to make! 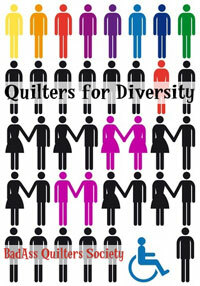 I am quilting a double sized rainbow quilt for my son's bed right now. I am hand quilting a queen size modern quilt and have two others made and ready to quilt. I love creating them, but not quilting, so much. My mind is always on the look out for the next one. A wedding quilt, a baby quilt, and several (too many?) blocks of the month. I'm currently making a quilt for a friend who has ovarian cancer, one for my just born niece, and one for my other friend's new baby boy. Love this pattern, thanks for the chance to win!! this pattern would be on my must do list! I'm always looking for new patterns that highlight large-scale prints; thanks for the giveaway! I just started quilting a giant Metro Rings and so far, so good! Just finished a baby quilt for my granddaughter, I'm feeling a few mini's coming on! I'm finishing the backing on my Postcard Quilt and hope to have it quilted and bound by Friday. I love patterns that showcase large scale prints, I have a few that I think would work well in this pattern. Thanks for the giveaway! 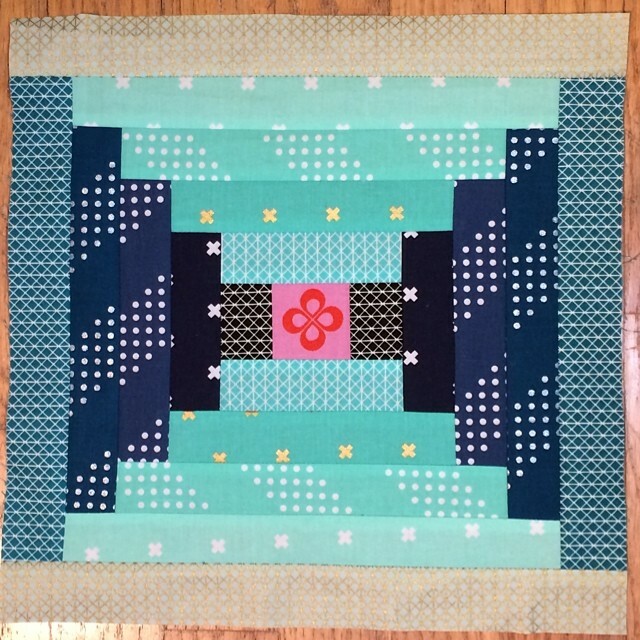 I am making an asian inspired quilt from 2nd Studio Tutorial. The "Asian "in spired is my term for it....not hers. I'm working on a green triangle quilt - i'm struggling with getting all the points to be points. I'm catching up on bee blocks and have to finish my daughter's quilt by Friday, when she gets back from camp. Thanks for the chance to win! I have two quilts that need quilting. Hoping to send one out and quilt the other one in the next week and half! I am working on many, many, zipper bags and 2 quilts. Love the beach pictures. thanks for the giveaway! I am making totes, finishing wallhanging, and beginning a tea pot cozy. Well not making quilts - finishing off quilts ... well at least that's what it feels like. I am working on a jelly roll race with I plan, when finished, to cut a scallop shape on one side, insert a white Kona cotton strip and finish the edges with ric rack. This is a free download from Fons & Porter and is a Jenny Doan design. I'm quilting a house quilt for my son's new home. Closing soon! Thanks. I am working on little things (pot holders, eye glass cases) trying to find a pattern for my next quilt. This may be it! So many beautiful fabrics out this time with large prints I want to showcase. Thank you I would love to win! I am working on several things: a set of 6 dish towels for my sister's new house, 2 baby quilts, finish my mom's quilt, making a purse for myself and trying to catch up on 4 different BOM's!! Thanks for the giveaway - love the pattern! Happy quilting. I'm working on a mini "fruit" quilt top at the moment. Would love to win this gorgeous pattern. Thanks so much for the chance! Jess's pattern is lovely! Having not done any sewing for over five weeks, my list includes a number of quilts etc, maybe even some cross stitch! Thanks for the giveaway! I'm busy trying to catch up with all the quilting I have to do. Oh gosh...how many quilts do I have partially done? Too ashamed to go and look, but I'd sure love that pattern! Thanks for the chance to win. I make as many quilts as I have time for. I don't have a lot of time with a full time job and a toddler, but I'm slowly plugging away. Currently I am working on a modified Modern Crosses quilt (using a jelly roll); I can make a block each night I work on it but I don't sew every night, maybe 1 of 3. I have a couple swaps to finish up and then I'd like to make a bag or two and start a quilt for my mom. I'm feeling ambitious today! it is a great pattern by Jess... at the moment I am working on stock for a shop reopening :) And I love your courthouse steps block! Beautiful block, and the cross stitch is so neat & tidy. I really like this pattern also. Quilts of course! I am currently finishing the binding on a table runner for a class that I am in. I am also working on finishing UFO's. I am practicing my FMQ by finishing these up. Currently I am working on a baby quilt for a first time mom! So excited for them-and for a chance to make quilting a priority, since usually it is on the back burner these days! At the moment I am working some embroidery that will be part of a bag and I need to pin a quilt so I can start quilting it...I would love to win a copy of your book....the testers did a wonderful job of making their version of the quilts. The girls were over this afternoon and after show and share we are all motivated to sew our little hearts out till the wee hours of the night! We are all working on a sour dough friendship quilt. Most almost finished!! We are also working on jelly roll quilts...so much fun. I know I would love to show them this pattern next time we meet!! They would be so jealous!! Such a pretty pattern!! I'm working on about 10 things at once! Some quilts being pieced, some waiting to be quilted! I am trying to finish up all my Christmas projects and presents. I am working on cushion covers and a table runner! Thanks for the chance! 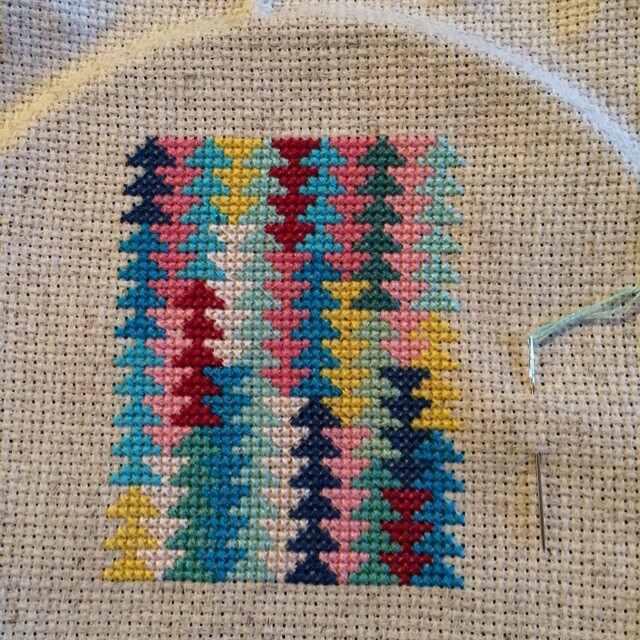 I'm working on a block I can't find a pattern for so it's all about math and I just bought some floss to cross stitch a mini quilt block. Thanks for the opportunity to win. I've working on cutting hexagons (for regular hand piecing) to take on a trip. I am leaving tomorrow and going on a pipe dream trip. I am going to England on a quilt tour. My paternal grandfather came to the US by himself when he was 17. So, I've always had a dream to go to the UK. I received an email for a tour and I asked my best friend who also happens to be a quilter if she wanted to go and we are joining the group in NYC. So, I am taking my Grandmother's Flower Garden flowers to work on while on the plane and just when I need some "me time." I'm using a rubber stamp to stamp the fabric. We attended a Laura Wasilowski retreat last weekend and at night, she stamped some fabric and I cut in prep for the big trip. Thanks for the giveaway. I was a math major and did a education segment for my guild on how to draw your own hexagons of any size. I had to go buy a compass for the demo. My daughter is a math teacher and lives in another state. I bet there is another compass if the house - I just had no idea where it was. Thanks for the great tutorial on how to do circle blocks. I understood it, perfectly. I'm finishing up a pair of baby quilts for a girl and a boy. Lately I've been making cloth napkin sets (based on your tutorial) in between other projects. So much fun to pair up different fabrics, use some stash, and gift a lovely set of 6 tied with selvage. I'm also smitten with courthouse steps! I'm not working at all, because my sewing machine is at the shop for annual maintenance. That's too bad, but it has to be done. I'm working on a strippy quilt today. I have several UFO's on the go right now. Great new Pattern.